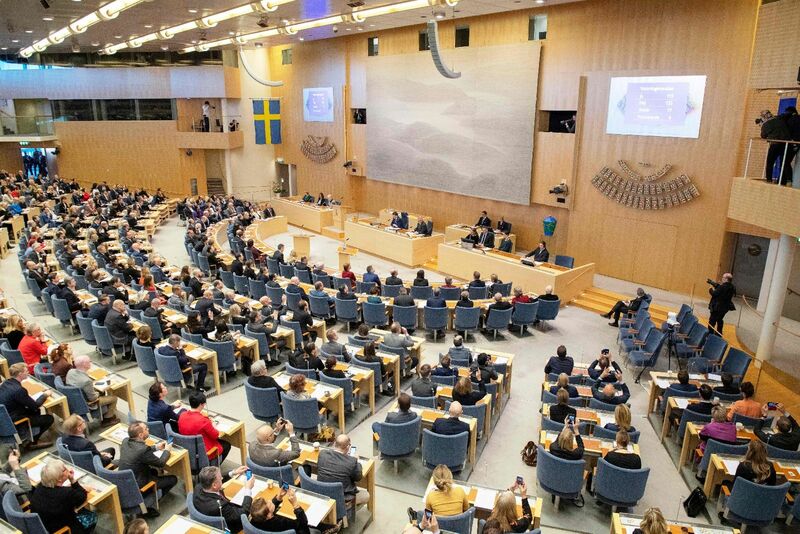 Delegates have taken seat at the Swedish parliament Riksdagen in Stockholm for the vote of the prime minister on January 18, 2019. The Swedish general election of 9 September 2018 generated very unclear results, at least by that country’s standards. The so-called bourgeois, or centre-right or “alliance” bloc, consisting of the Liberal, Centre, Christian Democrat and Moderate parties, won 143 seats in the 349-seat parliament. The left bloc of the Social Democratic, Green and Left parties won 144 seats, while 62 went to the Sweden Democrats, a right-wing populist party with some similarities to the Conservative People’s Party of Estonia (EKRE). The biggest change in terms of parliamentary representation was the 14-seat gain by the Sweden Democrats, which was actually a smaller gain than had been expected according to most opinion polls before the election. Overall, the election meant that none of the traditional left or centre-right blocs had the 175 seats required to form a majority government. However, the Swedish constitution’s so-called “negative parliamentarism” has generated minority governments for a long time. The term essentially means that a new government will be confirmed by parliament provided that an absolute majority of members (i.e. 175) does not vote against it. Theoretically, a vote in which a single member of parliament votes in favour of the new government and 174 vote against it—with the remaining, 174 abstaining – would still mean that the government was confirmed. The term for this in the jargon of political science and constitutional law is that parliament “tolerates” the government. The contrasting principle of “positive parliamentarism” means that a new government needs to be supported by either an absolute or a relative majority in parliament to be confirmed—as tends to be the case in e.g. Estonia. The four months of political negotiations to form a government that followed the election were by far the most protracted in modern Swedish parliamentary history. The fundamental reason for this was that a number of parties had made promises in the election campaign that were very hard to square with the results of the elections. Two of the centre-right parties (the Liberals and the Centre Party) had promised to support a government led by the Moderate Party leader, while at the same time promising that neither the Sweden Democrats nor the Left (former-Communist) Party would be allowed any influence. Thus, given that the only way for the Moderate Party leader to form a government with the other centre-right parties was to gain the direct support of the Sweden Democrats, the Liberals and the Centre Party refused this solution. At the same time, they had initially also promised to support a Moderate Party-led government, which meant that their preferred solution was some kind of coalition between the centre-right alliance and the Social Democrats, without the support of the Left Party. The Social Democrats dismissed this idea from the very start. After 129 days of negotiations, a deal was finally struck between the Liberal and Centre parties on the one hand and the parties of the previous government (the Social Democratic and Green parties) on the other. A 16-page document covering 73 political intentions was published, parliament went to a vote and a new minority Social Democratic–Green Party government was confirmed. The vote was 115 (only the Social Democrats and Greens) in favour, 153 against (all the Moderates, Christian Democrats and one Centre Party member) and 77 abstentions. Negative parliamentarism had scored again. The most interesting feature of the 73-point deal was its largely centre-right character. Many pet ideas of the centre-right were included, such as reformed labour laws and housing rent reforms, although a lot of these are likely to be buried for years in committee investigations. But the deal was in fact so much centre-right that for a long time the Left Party considered voting against the new government, before it joined forces with the Centre and Liberal parties in abstaining. The deal is, however, unique in Swedish parliamentary history as it suggests that a centre-left government should implement centre-right policies. This has uncertain consequences for the parties involved. From a domestic political perspective, though, the Social Democrats have now effectively been able to split the centre-right “alliance” parties, which means that the current government may be in power for a long time. A possible backfiring development – for the Social Democrats, that is – in the future in future would be if the more right-wing centre-right parties, the Moderates and the Christian Democrats, can muster an absolute parliamentary majority in future elections together with the Sweden Democrats. Whether this happens remains to be seen, as neither the Moderates nor the Christian Democrats are happy dealing with the Sweden Democrats given their neo-Nazi roots. Its current leadership, however, has been relatively successful in transforming the party into a more traditional populist, anti-immigration party that has won the support of almost 18% of the Swedish electorate—despite, rather than because of, its tainted history. But the principle of negative parliamentarism means that if these three parties between them form a 175-seat majority after a future election—which is not entirely fanciful as they now have 154—there is no way the other parties in parliament can stop, say, a two-party Moderate–Christian Democrat minority government from being confirmed, as long as the Sweden Democrats choose either to vote in favour or to abstain. This declaration thus amounts to what some have called “a unilateral Article 5-lite”—referring to NATO’s celebrated clause on mutual defence—and apparently includes e.g. Estonia. Both the emphasis on peacetime cooperation with others and the solidarity declaration are concepts that would have been completely impossible for most Swedish politicians only some 20 years ago, as they would have been seen as “undermining” the policy of non-alignment. At that time, though, some 65% of Swedes supported the latter policy, and only about 15% were in favour of NATO membership. Today, some 35% of the population are in favour of Swedish NATO membership, with a similar number against (the rest being undecided).3 However, how the new government will play out its security, defence and foreign policies remains to be seen. An early test of the new government’s policy will be whether the Treaty on the Prohibition of Nuclear Weapons (TPNW) should be considered for signature and ratification. A senior government appointee, ambassador (ret.) 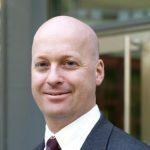 Lars-Erik Lundin, recently published a major report on its consequences. In his detailed 200-plus page report, Lundin strongly advised the Swedish government and parliament to neither accede to nor sign the treaty, partly because of the disadvantages this would bring in relation to security and defence cooperation with NATO countries.4 Military cooperation with Finland (which has explicitly rejected signing and ratifying the TPNW) and NATO countries, especially the United States, has been a cornerstone of the policies of defence minister Peter Hultqvist (Social Democrat). As he remains in that position in the new government, he is not likely to accept signing or ratifying the TPNW. The leadership of the Swedish foreign ministry, especially the minister, Margot Wallström, hails from the anti-nuclear left wing of Hultqvist’s party and is widely considered a proponent of the treaty. The new government’s stance on the TPNW will thus be a major early sign of whether it is heading for a more left-wing or a more centrist position in foreign and defence policy. Given that there is currently a solid parliamentary majority—composed of all the centre-right parties and the Sweden Democrats—against ratifying the treaty, it is not likely be signed by the government at first. But given the uncertainties of current Swedish politics, one can never be sure. Dr Mike Winnerstig is a non-resident fellow of the ICDS and head of the security policy department at FOI (the Swedish Defence Research Agency). The views in this blog posting are entirely his own and should not be taken as representing those of the FOI or the Swedish government. 2 Statement of Government Policy, 21 January 2019, Prime Minister Stefan Löfven, the Riksdag. See www.government.se/speeches/20192/01/statement-of-g…. 3 In a recent opinion poll by the Swedish Civil Contingencies Agency, the figures are actually higher: 42% in favour of NATO membership and 34% against. See MSB (2018): Opinioner 2018, www.msb.se/RibData/Filer/pdf/28769.pdf. 4 See Ministry of Foreign Affairs (2019): Inquiry into the consequences of a Swedish accession to the Treaty on the Prohibition of Nuclear Weapons, www.regeringen.se/48f047/contentassets/756164e2ca3…. What Is Wrong With Our Strategic Communications?